If you have ever wanted to write a book, you probably know how it goes: You stare at an empty page for five minutes, but it feels like hours. To fight the boredom, you stand up, stretch, and pour another cup of coffee. While waiting, you do some stretches, look outside the window and daydream about taking the dog for a walk. But then you pull yourself together. You decided today is the day you’ll start writing your book. 2 weeks later a friend asks how your book is coming, and you have no idea what he is taking about. There are many reasons why writing a book puts most writers directly into procrastination mode. Perhaps you are just not sure how to get started. Maybe spilling your guts onto the page so everyone can see makes you want to run far away from the any computer. It is also possible that you’re insecure about the quality of your writing, and you are afraid of getting slammed by negative reviews. Or even worse: you might be afraid that even if you do write your book, no one will buy it and all your hard work will have gone down the drain. Take a deep breath and remember that all writers have been exactly where you are right now. 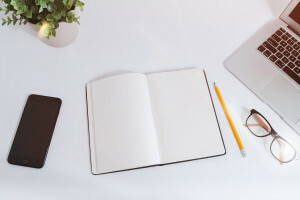 Every successful author — from Shakespeare to Hemingway —began by staring at a blank page. You’re in good company! Adopt a mentality of a writer, get rid of your excuses. Find your purpose by asking yourself why do you want to write a book. Spend all your free time reading. Let your first draft be flawless. Create a comfortable writing environment with minimal distractions. Plan your writing sessions using your calendar. Set a deadline for your writing project.